We recently got in Blue Sky Fibers' new limited edition yarn American Scenic. 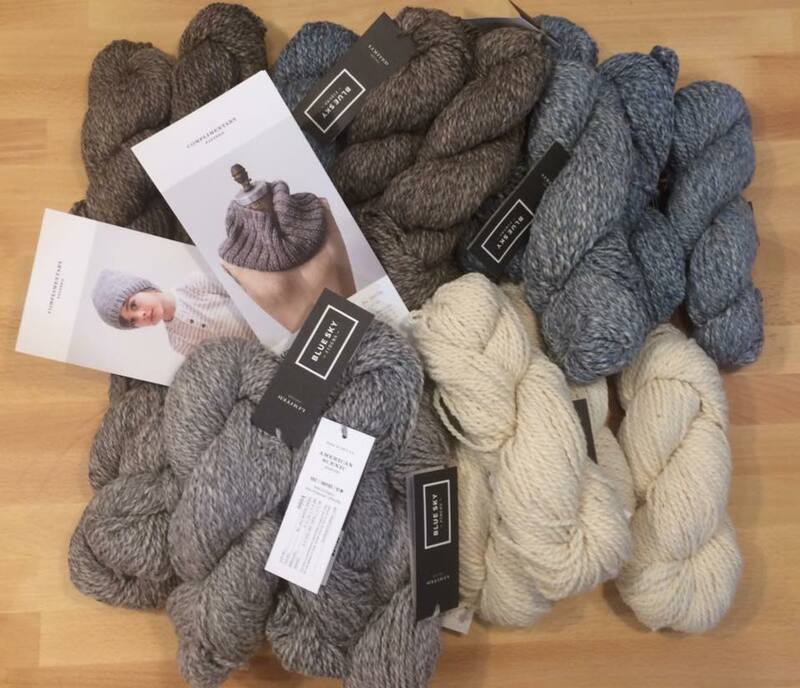 This yarn is a partnership between Blue Sky Fibers and Tabbethia Haubold, the fiber designer of Long Island Yarn & Farm. They have worked together to come up with a very cool, squishy yarn. The yarn is even spun in a family-run US mill in small batches. And as craft brewers can tell you, small batches are the best. They have released two patterns that show off this yarn very well. There is the Long Island Cowl that uses 2 skeins and the East Bethel Cap that uses just 1 skein. The blend of 50% US Aplaca, 30% US merino wool and 20% silk will keep you warm and it's so very soft. The four colors that the yarn comes in are all in stock at the shop. I have them sitting on the front counter with me. That way I can give them a squeeze during the day. I thought about keeping them all for myself. However, sharing them with all of you and seeing your creations is much more fun. Free parking is available in the Johnson Street parking lot located across the street from Knit & Bolt. All classes are designed for ages 14 and over, unless otherwise indicated. If you have a child that would like to learn to sew, contact us at info@knitandbolt.com and we can get them set up with a lesson tailored to them. Also contact us if you would like lesson tailored to your needs. Private lessons start at $25 an hour.